The quarry is marked on the OS map by the arrow. 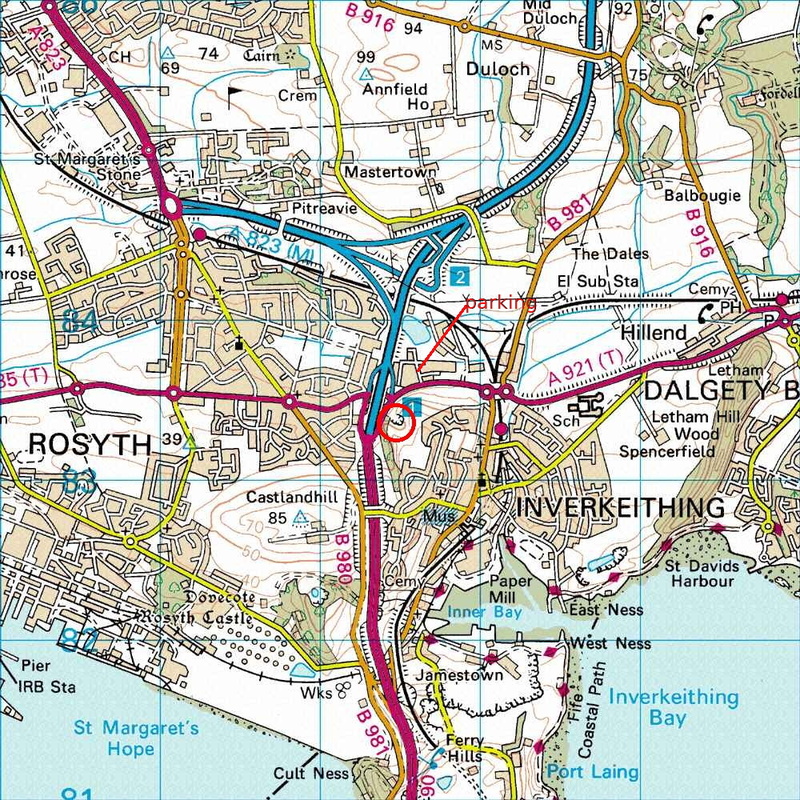 To get there people usually drive over the Forth bridge, leave by the second exit after the bridge, turn right at the roundabout under the motorway, start heading along the A921 and then park in the first turning on the left (just at the top corner of the base of the arrow on the OS map). To get to the crag walk back towards the roundabout and then, by the huge LED road sign, follow an obvious path up through the bushes, curving slightly rightwards, to a 'clearing'. Then take the second obvious track to the left which curves slightly leftwards up the hill to the quarry. The normal climbing area is on the left, although other climbs are scattered around the quarry, hidden behind the bushes.